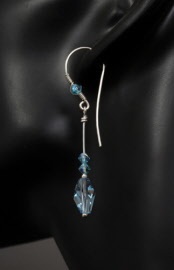 Wear with jeans and casual sweater or with shimmering eveningwear, simple in design and simply perfect for any occasion. 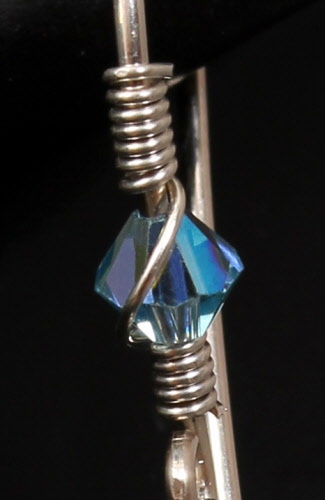 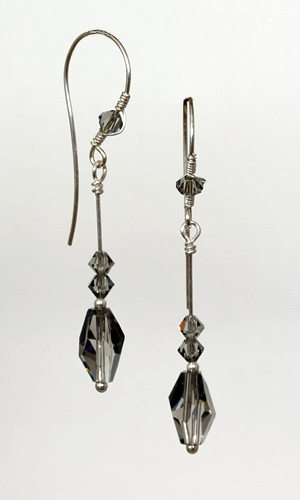 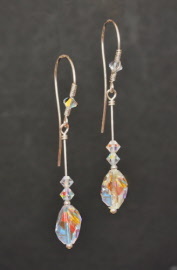 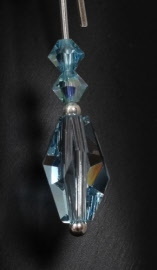 Swarovski crystals, sterling silver and argentium wire are used. 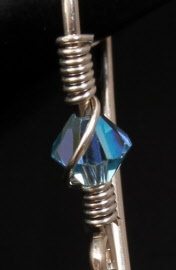 Earwire is handmade. Earrings available in aquamarine, crystal AB and black diamond, and measure 2¼ inches from top of earwire to bottom of dangle and weigh less than 0.05 oz each.